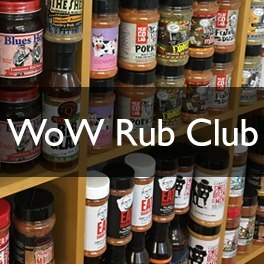 At WOWBBQ we understand just how competitive the online market place is and that you as the customer have more choice and buying power than ever before; not simply over the products that you buy but also from whom you choose to do business with. So why buy from us at WOWBBQ? We are an independent retailer of Weber BBQs, we're based at Sunshine Garden Centre in North London and we deliver nationwide. We're not the only Weber retailer out there online but we'd like to think that we're the best! The first reason why we say this is that we've been proudly trading online since 2002, initially we sold a wide variety of garden based products on our website but decided in 2007 to specialise and purely sell Weber BBQ's. We haven't looked back since! That's over a decade of online retailing experiencing selling Weber BBQs. 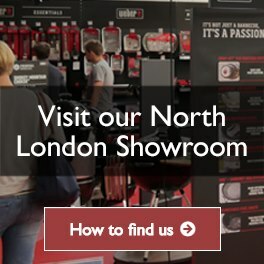 In addition to our online presence we also boast the largest Weber showroom in London, our Weber World Store. We're unique; there is nobody out there like us. Our entire business is built around the fact that we are the only online retailer who sell Weber and nothing but Weber. Everyone at WOWBBQ cooks using a Weber BBQ here on site but also at home too, we're huge fans of the brand we sell. Our staff aren't seasonal, we all have established knowledge built up over years of experience using the products we sell. Many of our team have worked here for over five years and are a testament to our mantra of grilling 365 days a year. We'll even do our Christmas Turkey on the Weber BBQ! So you can call us for more than just product specs; if you're considering a new BBQ then why not ask us how to use it to cook a beef joint or a succulent roast chicken or just about anything else you can think of! Simply stated - We are the Weber Experts. In a nutshell, At WOWBBQ we strive to be the best in everything we do. That's why we only stock Weber, they're the best BBQs on the market! We also employ only the best people, work with only the best couriers and do our utmost to ensure our customers receive the very best possible service. At WOWBBQ we are absolutely dedicated to our customers and believe in building relationships. We achieve this by offering expert support before, during and after your sales transaction. 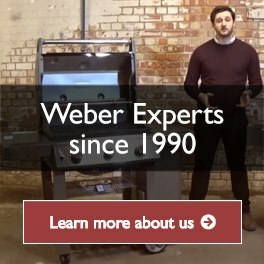 Our highly trained team of Weber Experts are available 7 Days a week to talk to you about which product you should buy and to make sure you're happy with what you've bought. Call us on 0208 829 8849 from 8am to 6pm from Monday to Saturday or from 10:30am to 4:30 pm on Sundays. Alternatively, you can always send us an email at support@wowbbq.co.uk. Please be aware that at certain times of the year our phone lines may be exceptionally busy, if for any reason you're unable to get through to us on the phone then please email and we will endeavor to email you back within 24 hours. We know that in addition to service; price is a very important consideration when making your purchase and as such we aim to always offer you the best possible deal. To do this we closely monitor our competitors, if you find however that we've missed anything please call us and we'll be happy to offer you a price match or better. Terms and conditions apply. Check out our independent reviews to find out what our satisfied customers have to say!